Cypher is a top-of-the-line premium cannabis brand. Goal: Provide the highest quality cannabis and non-cannabis products, that create an exceptional user experience. Herban Industries CA, LLC dba Rise Logistics is currently distributing Cypher products. 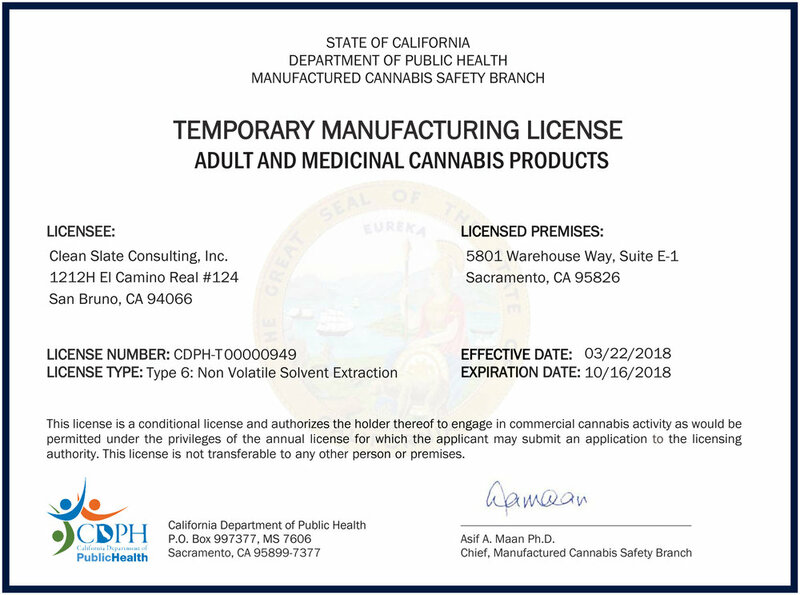 All of our products will be downstream from their Santa Rosa location, so this is the correct license to give to any retailer. Cypher products are manufactured by Clean Slate Consulting, Inc. AKA Clean Slate AKA Clean Slate Lab.